Dr. Mabourakh chemical peels provide advanced skin care treatments to diminish sun damage, premature aging and acne prone skin. This procedure can be performed by one of our in-office skin wellness specialist in Sacramento. Chemical peel uses a chemical solution to improve and smooth the texture of the facial skin by removing its damaged outer layers. It is helpful for those individuals with facial blemishes, wrinkles and uneven skin pigmentation. Phenol, trichloroacetic acid (TCA) and alphahydroxy acids (AHAs) are used for this purpose. The precise formula used may be adjusted to meet each patient’s needs. Although chemical peel may be performed in conjunction with a facelift, it is not a substitute for such surgery, nor will it prevent or slow the aging process. This page provides basic information about certain types of chemical peel treatments and the results you might expect. It won’t answer all your questions, since a lot depends on your individual circumstances. Once you and Dr. Mabourakh have decided on a specific peel program, be sure to ask about any details that you do not understand. Deciding if chemical peel is right for you Chemical peel is most commonly performed for cosmetic reasons — to enhance your appearance and your self confidence. Chemical peel may also remove pre-cancerous skin growths, soften acne facial scars and even control acne. In certain cases, health insurance may cover the peel procedure. Be sure to check your policy and contact your insurance company before the procedure is performed. Alphahydroxy acids (AHAs), such as glycolic, lactic, or fruit acids are the mildest of the peel formulas and produce light peels. These types of peels can provide smoother, brighter-looking skin for people who can’t spare the time to recover from a phenol or TCA peel. AHA peels may be used to treat fine wrinkling, areas of dryness, uneven pigmentation and acne. Various concentrations of an AHA may be applied weekly or at longer intervals to obtain the best result. Dr. Mabourakh will make this decision during your consultation in Sacramento and as the treatment proceeds. An alphahydroxy acid, such as glycolic acid, can also be mixed with a facial wash or cream in lesser concentrations as part of a daily skin-care regimen to improve the skin’s texture. Trichloroacetic acid (TCA) can be used in many concentrations, but it is most commonly used for medium-depth peeling. Fine surface wrinkles, superficial blemishes and pigment problems are commonly treated with TCA. The results of TCA peel are usually less dramatic than and not as long-lasting as those of a phenol peel. In fact, more than one TCA peel may be needed to achieve the desired result. The recovery from a TCA peel is usually shorter than with a phenol peel. Phenol is the strongest of the chemical solutions and produces a deep peel. It is used mainly to treat patients with coarse facial wrinkles, areas of blotchy or damaged skin caused by sun exposure, or pre-cancerous growths. Since phenol sometimes lightens the treated areas, your skin pigmentation may be a determining factor as to whether or not this is an appropriate treatment for you. Phenol is primarily used on the face; scarring may result if it’s applied to the neck or other body areas. All chemical peels carry some uncertainty and risk Chemical peel is normally a safe procedure when it is performed by a qualified, experienced plastic surgeon. However, some unpredictability and risks such as infection and scarring, while infrequent, are possible. AHA peels may cause stinging, redness, irritation and crusting. However, as the skin adjusts to the treatment regimen, these problems will subside. With a TCA peel, your healed skin will be able to produce pigment as always; the peel will not bleach the skin. However, TCA-peel patients are advised to avoid sun exposure for several months after treatment to protect the newly formed layers of skin. Even though TCA is milder than phenol, it may also produce some unintended color changes in the skin. With a phenol peel, the new skin frequently loses its ability to make pigment (that is, tan). This means that not only will the skin be lighter in color, but you’ll always have to protect it from the sun. Phenol may pose a special risk for patients with a history of heart disease. It’s important that you make Dr. Mabourakh aware of any heart problems when your medical history is taken. It is also possible that phenol will cause some undesired cosmetic results, such as uneven pigment changes. Certain modified phenol peels are gentler and may be preferred in some circumstances. In some states, no medical degree is required to perform a chemical peel – even the strongest phenol peels. Many states have laws that permit non-physicians to administer certain peel solutions, but regulate the strengths which they are permitted to apply. You should be warned that phenol and TCA peels have been offered by inadequately trained practitioners claiming “miracle techniques” to rejuvenate the skin. It is very important that you find a physician who has adequate training and experience in skin resurfacing. Dr. Mabourakh will offer you a choice of peel techniques or suggest a combination of peels to obtain the best result for you. During your initial consultation in Sacramento, it is important that you discuss your expectations with Dr. Mabourakh. Don’t hesitate to ask any questions or express any concerns that you may have. Dr. Mabourakh will explain the planned procedure in detail, including its risks and benefits, the recovery period and the costs. If you have a history of herpes, you should inform your physician prior to the procedure. Remember, chemical peel treatments are usually not covered by medical insurance unless they are performed for medically related problems. Our Sacramento staff will instruct you on how to prepare for your peel treatment. Retin A – a prescription medication derived from Vitamin A – is used to pre-treat the skin. This thins out the skin’s surface layer, allowing the TCA solution to penetrate more deeply and evenly. If your skin won’t tolerate Retin-A pre-treatment, an AHA cream may be used instead. Hydroquinone, a bleaching agent, is sometimes used in conjunction with Retin-A or AHA pre-treatment, especially if you have blotchy skin areas or pigmentation problems. You may have to spend a month or more in the pre-treatment phase before Dr. Mabourakh will schedule your actual peel. You will need to arrange for someone to drive you home and help you out for a day or two if you are having a phenol or deeper TCA peel. You probably won’t need any extra assistance if you’re having an AHA peel or superficial TCA peel. AHA peels/treatments: Dr. Mabourakh will apply the AHA solution to your cleansed facial skin, a process that usually takes no more than 10 minutes. No “after-peel” ointment or covering is required. Depending on the strength of the peel, periodic treatments may be necessary until the desired effects are achieved. For some patients, the application of an AHA-based face wash or cream once or twice a day at home will be sufficient to accomplish the desired goal. Dr. Mabourakh may add Retin-A or a bleaching agent to your at-home treatment schedule. After several weeks of at-home use, Dr. Mabourakh will examine your skin to determine if your regimen needs adjustment. Phenol and TCA peels: Typically, the skin is first thoroughly cleansed. Then, Dr. Mabourakh will carefully apply the phenol or TCA solution. You may feel a stinging sensation as the peel solution is applied, but this feeling will quickly pass. A full-face TCA peel usually takes no more than 15 minutes. Two or more TCA peels may be needed to obtain the desired result, and those may be spaced out over several months. Mild TCA peels may be repeated as often as every month. If phenol solution has been used, Dr. Mabourakh may coat the treated area with petroleum jelly or a waterproof adhesive tape. With lighter peels, no covering is necessary. A full-face phenol peel generally takes up to one hour to perform, while a phenol peel to a smaller facial region (perhaps the skin above the upper lip) may take only 10 or 15 minutes. A single treatment usually suffices. After an AHA peel, it is common to experience some temporary flaking or scaling, redness and dryness of the skin. However, these conditions will disappear as the skin adjusts to treatment. After a phenol or TCA peel, Dr. Mabourakh may prescribe a mild pain medication to relieve any tingling or throbbing you may feel. If tape was used to cover your face, it will be removed after a day or two. A crust or scab will form on the treated area. To help your face heal properly, it is essential that you follow Dr. Mabourakh’s specific post-operative instructions. A TCA peel may also cause significant swelling, depending on the strength of the peel used. If you’ve had a phenol peel, your face may become quite swollen. Your eyes may even be swollen shut temporarily. You will need someone to help care for you for a day or two. You may also be limited to a liquid diet and advised not to talk very much during the first few days of recovery. With an AHA peel, the temporary redness, flaking and dryness that you experience will not prevent you from working or engaging in your normal activities. A fresher and improved skin texture will result with continued AHA treatments. Remember, protecting your skin from the sun is also important following these mild acid peels. Ask Dr. Mabourakh to recommend a sunblock with adequate UVA and UVB protection and use it every day. With a TCA peel, the moderate discomfort and mild swelling you may experience will subside within the first week. In about a week to ten days, your new skin will be apparent and you should be healed sufficiently to return to your normal activities. It is best to avoid sun exposure unless you are adequately protected. With a phenol peel, new skin will begin to form in about seven to ten days. Your face will be very red at first, gradually fading to a pinkish color over the following weeks to months. During this time, it is especially important that you use a sunblock or blotchy, irregular skin coloring may result. Improvements from AHA peels may be very subtle at first. You may detect a healthier glow to your skin. 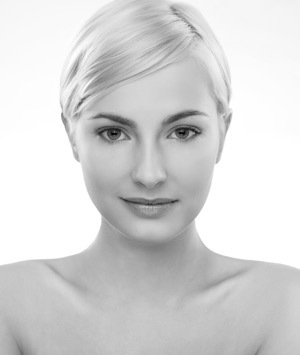 With continued treatments, you will notice a general improvement in the texture of your skin. The results of a TCA peel are usually not as long-lasting as those of phenol peel. However, your skin will be noticeably smoother and fresher-looking. If you’re planning a phenol peel, you can expect dramatic improvement in the surface of your skin – fewer fine wrinkles, fewer blemishes and more even-toned skin. Your results will be long-lasting, although not immune to the effects of aging and sun exposure. If You're interested in learning more about one of our procedures, feel free to call 916.984.8585 or contact us for additional information.